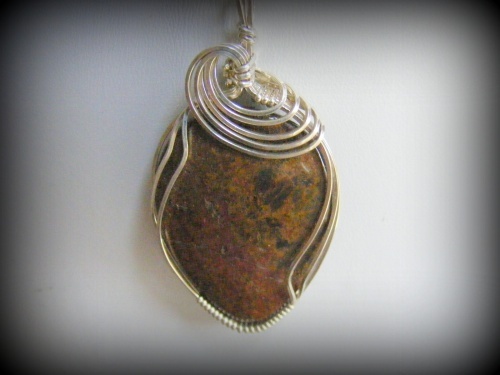 This Bronzite has rich browns and is said to enhances the ability to take control of our own lives. The piece is sculpted with sterling silver swoop going across the top. Measures 2" long and 1" wide and comes with a sterling silver snake chain.